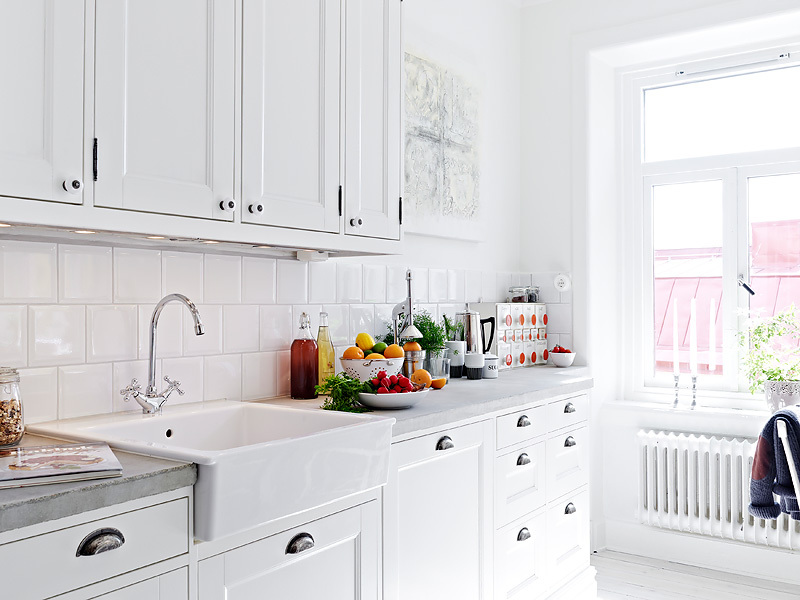 – It’s a bright color that reflects light and makes even small kitchens feel larger. – It’s a neatnik’s dream — dirt has no place to hide. – Even better, it’s uber-tolerant of both your budget and taste: A standard color for any manufacturer, you’ll find white cabinets, tile, counters, faucets, sinks, and appliances at any price point. – Add your personal touch with colored glass knobs and pulls. – Show off antique Fiesta ware on open shelves or in upper cabinets with glass fronts. – Paint walls the color du jour — even off-white!